Notes: Well, here we are, the last of my daily selfies and the end of 2014. 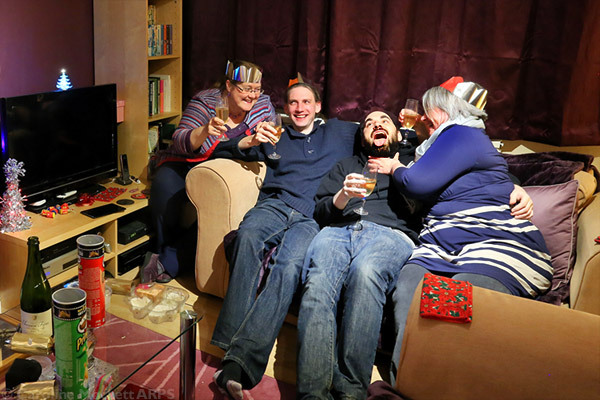 Sharing some champagne and giggles at a small New Year gathering with Alistair, Glyn & Sheila, a few minutes before midnight. Cheers!